Before the season gets underway, take advantage of LeagueAthletics.com's sports schedule generator. 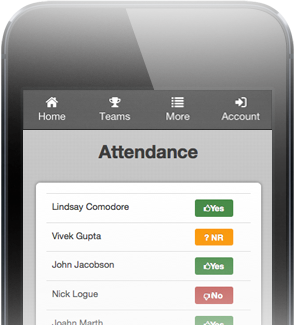 This allows you set up the list of teams your squad plays for the season. With the Auto-Schedule function, just let us know the important game info (i.e. opponent, date/time, the site, etc. ), and we'll plug everything in automatically. From there, you can edit the schedule as necessary. Know who will be at the game before you go. 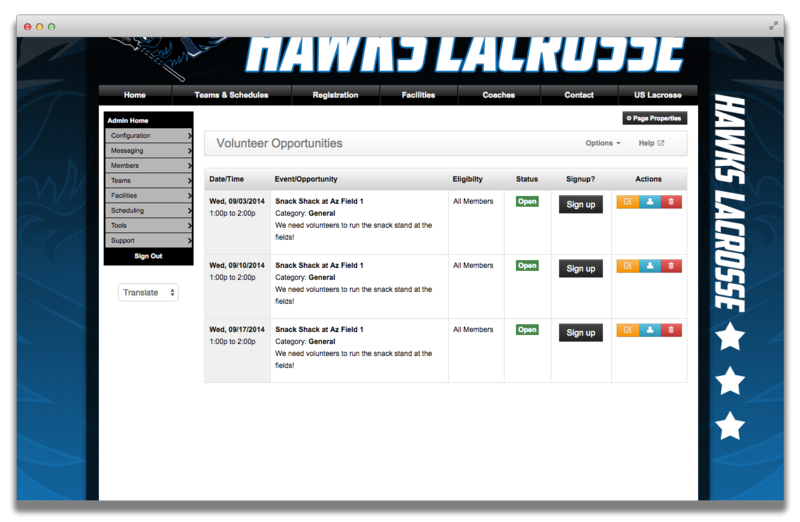 Coaches and Managers can send out RSVPs to members of their team and track attendance at these events. When someone replies no, we'll alert the coach so they know they won't be there. They can also see the full list on their iPhone or Android device. You can also use the Event Staff options to manually assign volunteers to events, or optionally, allow them to login to their account and self-assign. Once done, you can export the information into an excel report and track who has performed which duties during the season. Once playoff time hits, keep track of not only your team, but others that are in the postseason. 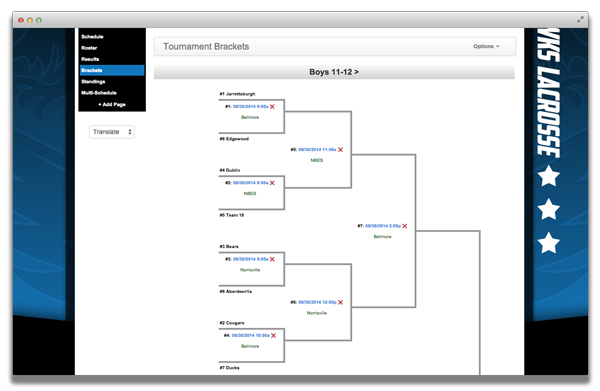 LeagueAthletics.com's bracket builder allows you to enter scores and stats, and also seed teams to create a single or double-elimination bracket. As teams win and lose and scores are entered, they'll move along in the bracket to the correct positions. 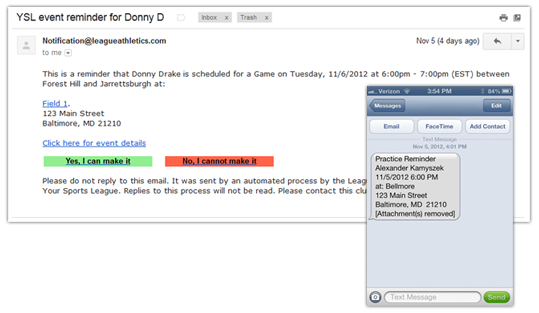 Keep your members in-the-know with automatic game and practice reminders. Before each event, your website will automatically send out notifications to your members reminding them of their upcoming event.